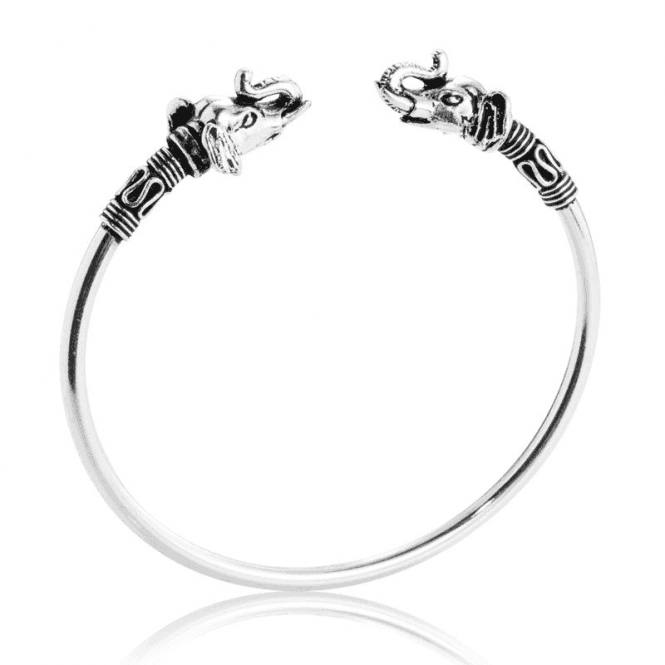 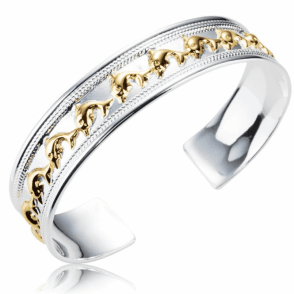 Elephant Friends Bangle in Flexible SilverOpen-ended, flexible and so easy fitting, this charming bangle symbolises friendship in the two beautiful elephant sculptures facing each other. 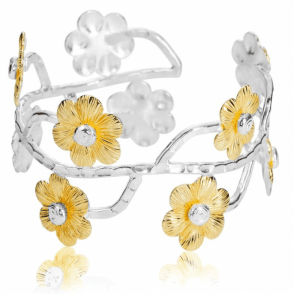 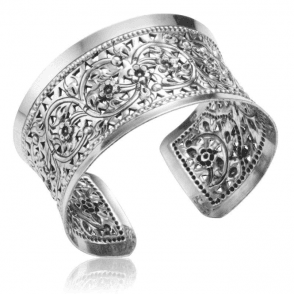 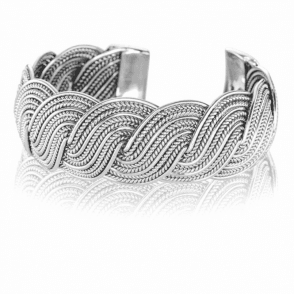 Decorated with ceremonial splendour, this bangle makes a stunning gift  if you can bear to part with it. 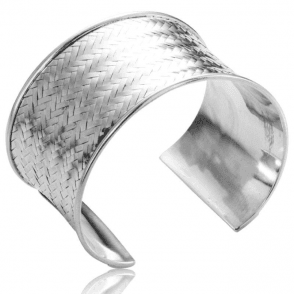 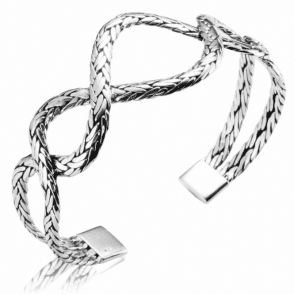 Fit wrist up to 7¾"